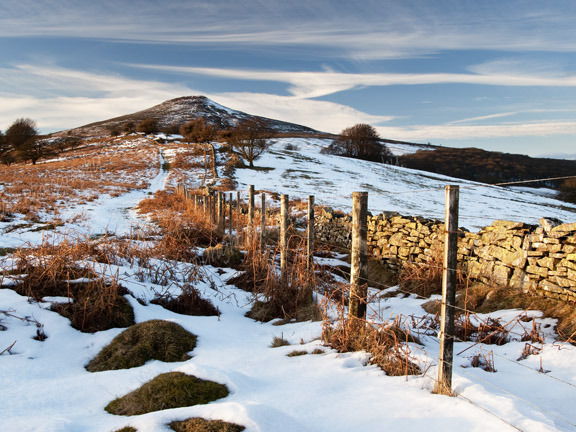 Philip Veale Photography: Sugar Loaf Mountain, Abergavenny.. The late sunlight of a winter's day on the approach to the Sugar Loaf, Abergavenny. Location: The Sugar Loaf, Abergavenny.